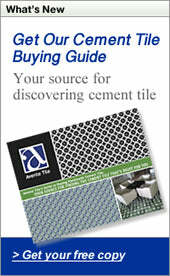 Avente Tile is gearing up for the 2011 Bathroom Blogfest. This is Avente's second year to participate in the event which is now in its sixth year. The 2011 Bathroom Blogfest brings together 33 bloggers from the U.S., Canada, Dubai and the UK to address the theme 'Climbing Out'. This year, the event will occur between October 24 and 28. The event is managed by Christine B. Whittemore, chief simplifier of Simple Marketing Now, Kinnelon, N.J. Christine said, "We were inspired to use the 'Climbing Out' theme by the sewer pot of mixed economic signals, unfocused political agendas, and undifferentiated conventional experiences that surround us globally. By calling attention to inspired examples of 'climbing out', we can reinforce the value associated with being creative and responsive to specifiers, clients, patrons and consumers." This year's theme, 'Climbing Out,' focuses on improving the bathroom experience and brings attention to every aspect of a bathroom including residentail adn commercial as well as the design and architectural vision plus the retail experience. If you are new to blogging or the blogosphere you may ask, "What is a blogfest?" A blogfest brings together writers of each participating blog who focus their blog posts around a single subject or theme like "Climbing Out." During the week of the 2011 Bathroom Blogfest, you’ll be able to read each participant's blog and see how the topic resonates with their readers. I'll be posting my take on 'Climbing Out' during our weekly Tile Tuesday post here. For more information about the blogfest, visit http://www.BathroomBlogfest.com. Follow Bathroom Blogfest on Twitter @BathroomBlogfes, look for the tag "#BathroomEXP" on Twitter or 'Like' on Facebook http://www.facebook.com/BatrhoomBlogfest. Or, contact Whittemore at cbwhittemore@SimpleMarketingNow.com. Thanks, Bill! We are off and climbing -hurray!